Sending your little one off on that big yellow school bus for the first time is a bittersweet moment. For parents of children with food allergies, however, this time is filled with specific anxieties regarding their children’s physical health, not simply their social and emotional well-being. If you’re concerned about your young one’s food allergies being a major obstacle as he or she enters school, check out this helpful information. Once you enroll your child in school, make sure to alert his or her teachers and administrators that he or she has serious food allergies. The school likely has many students operating under similar circumstances, some of whom will probably be in your daughter’s or son’s class. The “Today” Show suggested creating a targeted list of questions and concerns to bring to your child’s school. First, discuss the snack and lunchtime procedures for your child’s future class. Knowing what the daily routine is when it comes to food will help you get a better picture of where and when your child will be eating. Be sure to figure out how food is distributed – for example, if students all keep their lunches in the same place – so you can work out a meal plan you feel comfortable with. 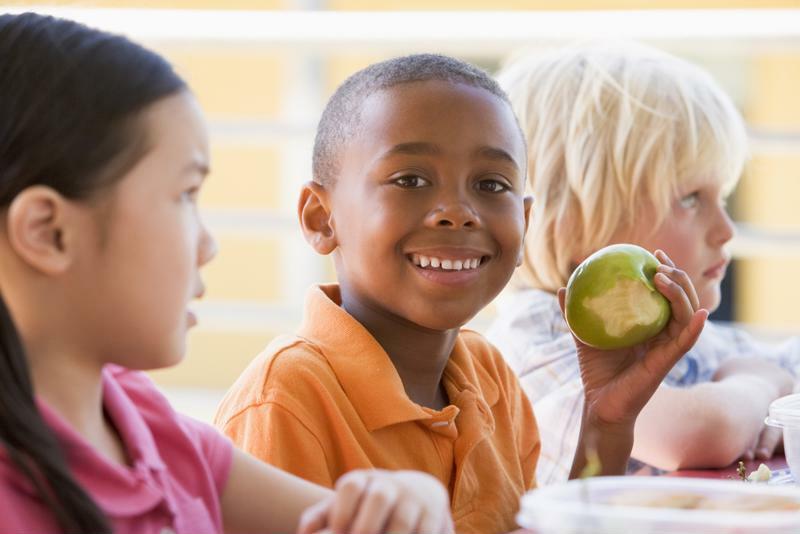 Always ask if the school has food restriction policies, like peanut-free lunch tables, as you may want to sign your little one up for these special arrangements. Next, ask administrators how familiar the school is when it comes to dealing with your little one’s specific allergies and their severity. For example, if your child has anaphylactic food allergies, ask the school how it makes accommodations for kids with similarly serious cases. Because food allergies are so common, it’s unlikely your child’s school has no experience handling them. However, if it does, you may want to consider choosing a different school, or asking your child’s doctor to speak directly to his or her teachers. It may also be beneficial to reach out to the school nurse and the head of cafeteria services. Both of these professionals may play an active role in your child’s nutritional health, so making sure they’re aware of the situation can help reduce the risk of an allergy-related emergency. Discuss lunchtime rituals with administrators so you know your child’s eating schedule. Speaking directly to administrators will likely ease your nerves, but securing a community of like-minded individuals can put them almost to rest. Gluten Free magazine suggested doing some research into local parenting groups in your area to see if there’s an organization for people with food-allergic children. Speaking to individuals who were once in your position can be invaluable when it comes to creating a healthy educational environment for your child. The source also suggested crafting an Emergency Action Plan tailored to your child’s needs. This can be written up with the help of a doctor at your child’s school physical and distributed to whoever may have contact with your youngster throughout the day, from administrators to teachers to the school nurse. Figure out whether the school has a standard EAP for food allergies, and ask that your personal one be used instead in the event of a medical emergency. Of course, your child needs to be given an active role in his or her own health, especially as you won’t be able to serve him or her every meal. This can be a daunting concept for many parents who envision their children not fully understanding the gravity of their situations and taking snacks or meals from others. While you certainly shouldn’t overload your little one with too much responsibility in this realm, it’s crucial that you regularly discuss food allergies with him or her. PBS suggested starting preparations for school long before your child is old enough to attend. The source explained that there are plenty of picture books and other visual resources available that can show kids what foods they need to avoid and how to handle situations where forbidden foods are offered to them. Tell them that their teachers will be able to help them if they aren’t able to figure out whether or not they should eat something. Additionally, discuss with your child how important it is to notify an adult if he or she doesn’t feel quite right. You may be concerned that your youngster will keep even small problems to him- or herself, but that usually isn’t the case if he or she has been thoroughly educated about allergies. “Most kids by kindergarten age who have life-threatening food allergies know enough to say, ‘I’ve got a problem,'” Nicole Smith, founder of AllergicChild.com, told PBS. The source noted that most kids end up reaching for allergens when they’re feeling left out. For example, a child with a peanut allergy might feel singled out if everyone else is snacking on peanut butter cups brought in for a special occasion. Because of this, provide your child’s teacher with plenty of “safe” treats he or she can provide to your little one on birthdays and holidays. Maintain a strong presence in your child’s school throughout the academic year to make sure things are going smoothly. Not only will this give you more confidence in your child’s safety, but it will probably ease the nerves of teachers who may be anxious about creating the safest environment possible for students with allergies. Consider becoming a class volunteer so you can provide treats during special events and accompany the class on field trips. By being as involved as possible, you can use events like these as learning opportunities for your child and his or her school. And, naturally, keep a watchful eye on your child whenever he or she returns from school. If he or she regularly returns feeling ill, the classroom might be home to more allergens than you know. Don’t hesitate to take action if you feel like his or her learning environment is doing more harm than good.